Xiaomi Mi4, is set to release in India very soon. After the release of Xiaomi Mi3, now its time to unleash the Xiaomi Mi4, which is a 4G LTE flagship smartphone, which runs on Qualcomm Snapdragon 801 2.5GHz processor, Adreno330 GPU, 3gb ram 13 mega pixel Back And 8 mega pixel Font Camera with MIUI 5 ROM. There are top 10 reasons to choose Xiaomi Mi4, over anyother smartphone available in the market. We ordered the smartphone through vopmart.com, received it with the same boxing just like Xiaomi Mi3. 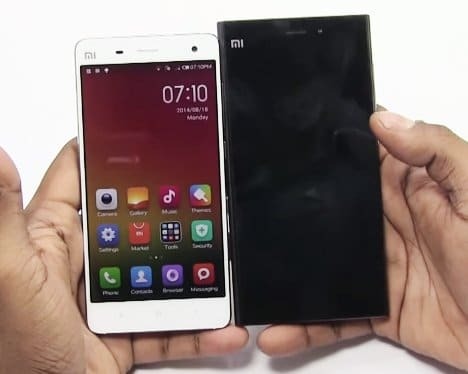 The size of the phone is smaller in size when compared with Xiaomi Mi3. 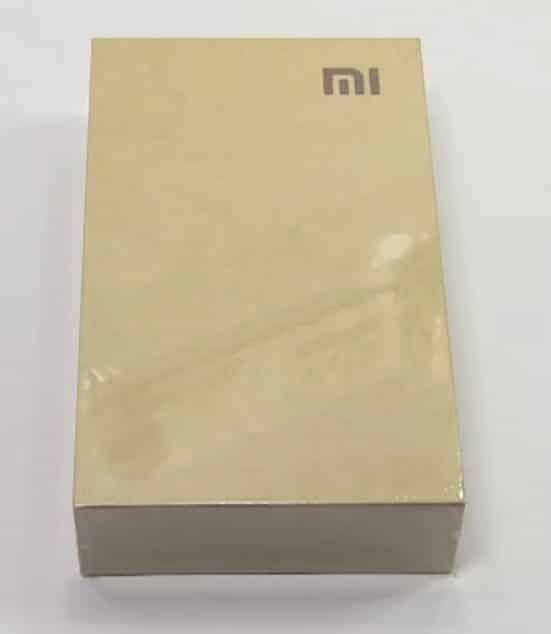 There is lot of difference between Mi3 and Mi4 with regard to specifications, but when we see both the phones, Xiaomi Mi3, looks like a king and Mi4 as a Minister. The boxing of Mi4, looked similar to that of Mi3. Mi4 comes with Qualcomm Snapdragon 801 2.5GHz processor, Adreno330 GPU, 3gb ram 13 mega pixel Back And 8 mega pixel Font Camera with MIUI 5 ROM. Mi4 is a 4G LTE smartphone, that comes with Gorilla glass 3 IPS retina Display. 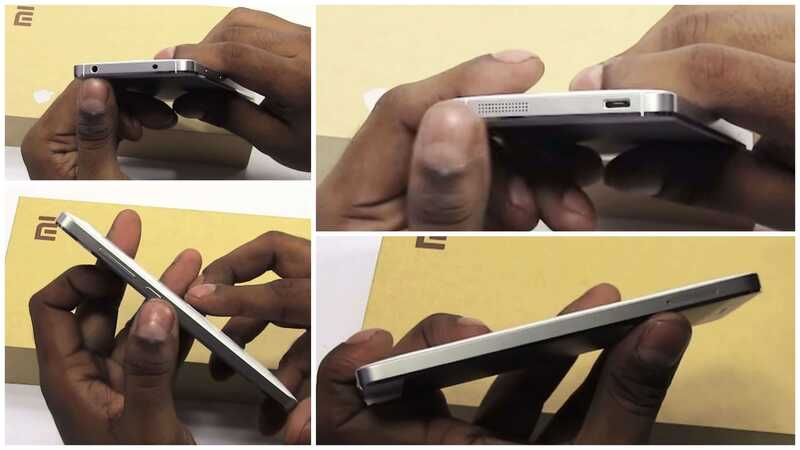 The design of the phone is complete clone of Iphone 5s, utilising the similar metal body design and Powerful hardware. It is designed with layer 0.06mm Stainless steel full metal Body frame. Mi4 utilises IMT 9 back cover Technology. 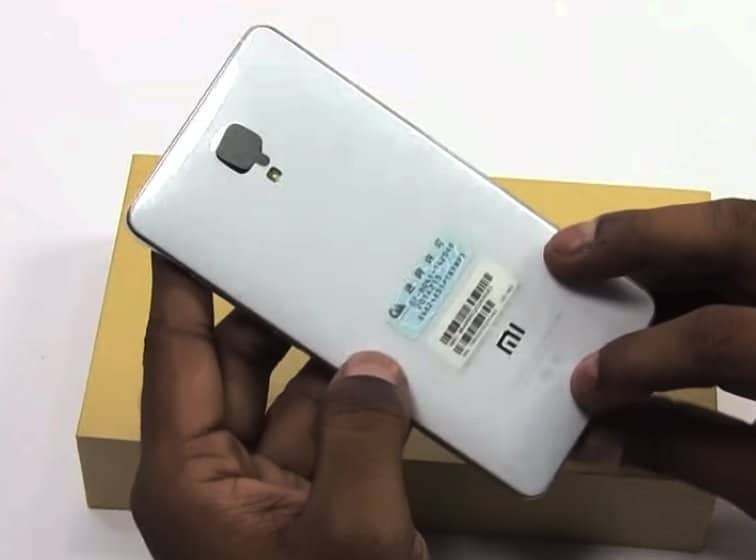 We unboxed the Xiaomi Mi4 and this is the first looks of Mi4. The best thing in Mi4, is its processor. Mi4 comes with Qualcomm Snapdragon 801 Quad-core 2.5 GHz Processor. That makes the “Apple of China”, makes superfast device. Qualcomm snapdragon 801 quad core 2.5ghz processor in Mi4 harness the robust integration of many components for incredible speed and power efficiency. Even being a Quad core processor, Mi4 is certified as Power efficient Smartphone, that can run for 36 hours, which is the best part of Mi4. Mi4 comes with 0.3 second fast focusing, 13MP Sony rear facing camera. The lenses used in Xiaomi Mi4 is same as the lenses used in lastest Sony IMX 214 Camera. Xiaomi Mi4, Shoots faster with better quality. f1.8, real-time HDR. 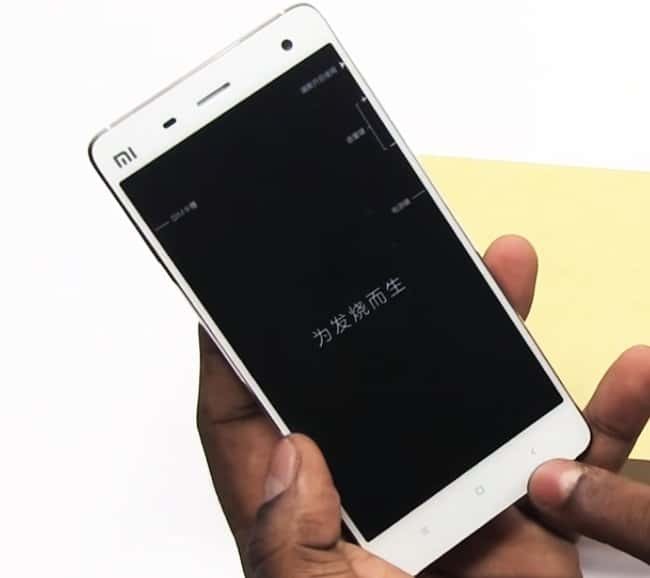 Xiaomi Mi4, shoots video with 4K video recording. 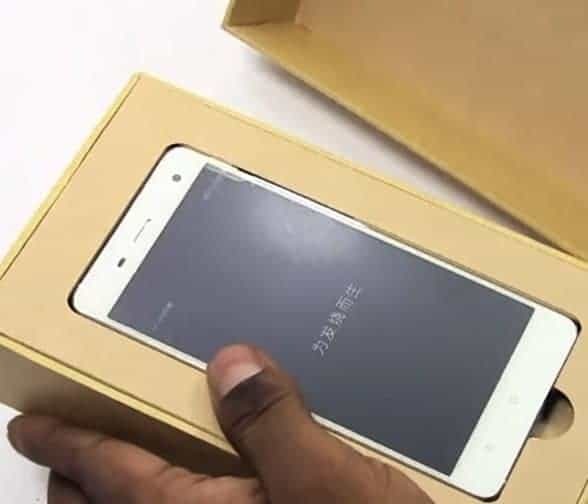 Xiaomi Mi4, comes with 3.5mm Jack at its top, Laser grilled frame with Dual speakers and Charging point in the bottom. Volume rocker buttons and Power botton at its right and Sim Card Tray at its left. It is Slim than Xiaomi Mi3. 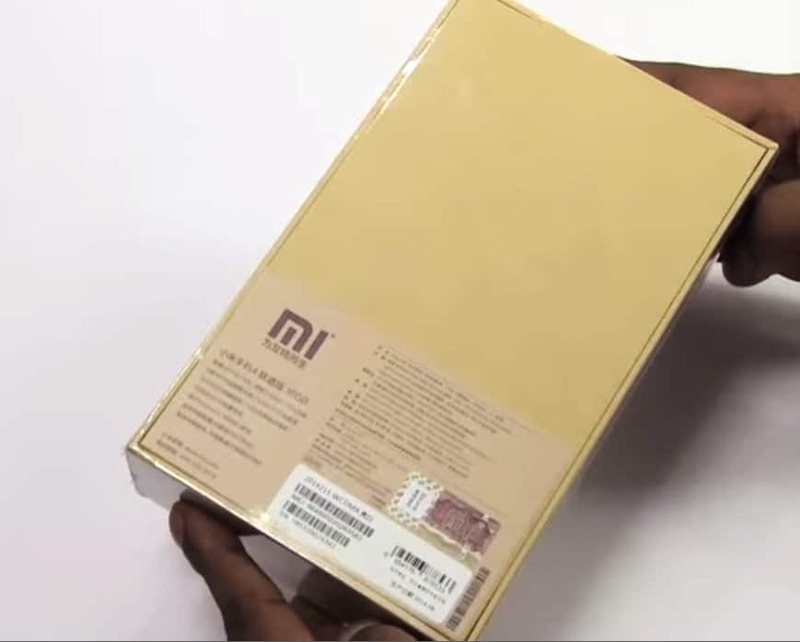 Xiaomi Mi4 has a non detachable/removable battery of capacity 3080 (mAh). It has 16GB internal memory and 3gb DDR3 Ram which makes the device superfast. Xiaomi MI4 Support 4G(LTE) 3g,2g now MI4 4G Support in some country And 2 Type Version 3g and 4g. The android version in Xiaommi MI4 is Kitkat, that is built in Custom Rom by Xiaomi “MIUIv5”. As per the latest interview with Hugo Barra, Xiaomi Mi4 gets Android L update very soon. Xiaomi Mi4, can be used with Custom Roms like Cyanogenmod 11. You can try installing Cyanogenmod 11 by the process explained in Igadgetsworld. Xiaomi Mi4 comes with MIUIv5, which can updated to MIUIv6, using the process explained in previous posts. MIUIv6 has improved design and beatifully crafted userinterface. For more information, Read our Complete review on MIUI v6. Please share your comments and add your stories and opinions.